Developer Schnitzer West, who earlier this month converted their Equinox condo development in Eastlake to apartments have just announced they are auctioning the remaining units in their two other Seattle properties – The Gallery Condominium in Belltown and Brix Condominium on Capitol Hill. 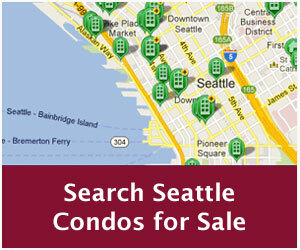 The auctions for both properties will be held on Sunday, September 27th at the Grand Hyatt Seattle (721 Pine Street). Brix goes first starting at 1:00 PM with Gallery starting later at 6:00 PM. The auctions will be conducted by Accelerated Marketing Partners, who previously handled the auction for the 1707 Boylston condo on Capitol Hill. There are 40 units available at Brix with the minimum bid starting at $165,000 for an open one bedroom. The Gallery has 43 units available with the minimum starting bid beginning from $195,000. Schnitzer clarified that there are more units available but are only offering 83 through the auction process. Presently, their focus is on the 83 auction units so no home will be available for purchase through normal channels until after the auction concludes. The auctions will be conducted mid stream of the properties’ sales campaigns, and are not intended to “liquidate” the remaining inventory, but rather will establish market pricing for the projects. Both auctions have a buyer/agent registration policy. 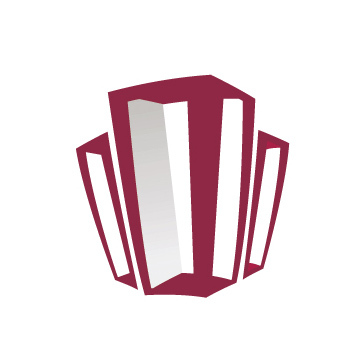 Therefore, if you want to be represented by your own buyer’s agent, then your agent must accompany you on your initial visit to the auction center at both Brix and Gallery. If a buyer visits the auction office without their agent, they may be denied their own representation. The developer’s other condominium project is The Bravern in Bellevue. Does it make a difference if you are referred by a broker or not? Does it make any difference in one’s participation in the auction? M – You do not need to be referred by, or represented by an agent, to participate in the auction. You can just register via the links I provided and read through the documentation regarding the terms of the auction and do it yourself. It doesn’t make a difference. If you don’t have your own agent though, then the seller’s agent (in house) will be acting as a dual agent representing both the seller and buyer in the transaction. On the other hand, there is no added cost to having your own agent representation. Thank you for the information Ben.What is the last date for registering to take part in the auction? Waiting for your reply. Norah – the last day to register for the auction is Saturday, Sept 26th at 7:00pm. Keep in mind, bidders must be pre-approved by the auction preferred lenders whether or not they intend to use their own lender. They’re not auctioning off all units. Think about it! There will be units available after the auction that could sell for less. i went to visit these units last week. here’s my thoughts. overall the building is quite nice and has nice amenities and a modern feel to it. the interior finishes in the units are nice also. those are the pros. *poor location. yes, it’s in belltown but it’s not really near much besides seattle center and several blocks away from anything. it’s weird but it just “feels” far away vs. say 2600 block. *location adjacent to other buildings. this is a killer in many ways. on the opposite side of 2nd avenue on the south side of the street is the grandview which is 26 or so stories and creates a shadow over the building. the 2900 1st apartments are right in front of the building (west) and they block the view up to the 5th or 6th floor. even the higher units do not have an unobstructed view due to the positioning of the building on the block relative to the other buildings. the show unit for example on 11 is quite nice. it has the best view which is “nice” but not excellent. it’s certainly nothing approaching a great water view and it’s on “sale” for $499,000. *the 1bd/ba units with the “open” floor plans are often dark and have poor light. i saw them on a bright day. fast forward a month 🙁 and they will be dark. overall, i think the units have some weird layouts and it will be interesting to see what they go for and how much of a price lowering effect they have on the rest of belltown. they should drive the price per square footage down. specifically if the 1brs are going for 195…they might sell for 240 max, which will be about $300-350 per square foot maximum. and this is for a brand new building. look at the prices at seattle heights, harbor heights and other buildings that are 3 blocks away and 16+ years older…current listings are 450-500 per square foot. those people are smoking crack to be nice. i think this auction will have a huge lowering impact on belltown condos. this will have a huge affect on comps in the belltown neighborhood. are you saying that this auction is a bad idea as it will drive costs down in belltown’s market? it would seem that the buyers could buy these units at a steal, but end up screwing over everyone else. jake – i’m saying that i think these units are STILL overpriced. No, i think it’s a great thing. People in Seattle are still in MASSIVE denial about housing. everyone wants this stress to be over. but anyone who has been watching national data trends and following all of this for years, knows exactly where things are ad. the entire nation is in a world of hurt. unemployment will continue. defaults are going to INCREASE next year. the housing fundamental on which housing prices must be based on are declining. those are just the TRUTH. don’t let some self serving realtor convince you otherwise. Seattle was one of two cities in 2007 that still had positive appreciation on average, when the rest of the country was declining. my point is simply that Seattle was the last to fall. Everyone else has been falling for a much longer period of time. the real estate problems will take MUCH LONGER to playout in Seattle than anyone expects. these condos will drive down the price of condos in belltown. why? because it’s a NEW building in great condition. the average price per square foot will decline on surrounding properties. in the example i mentioned…i mean are you going to pay 50% more for a unit at seattle heights 3 blocks away? (14 year old building vs. the gallery which is BRAND new?) no way…. so you have 1 bedrooms in seattle heights listing at $320,000 and up. that’s absurd in general. and it’s about $460 per square foot. the Gallery units are starting at under 300 per square foot. so the older units are priced at 60% higher. so obviously no way they are going to sell at current pricing, especially after the auction next week which will lower comps. oh, and what do you think is going ot happen to the poor folks who paid full price at the gallery? (be nice and don’t call them SUCKERS!). honestly….how would YOU feel if you paid like $450,000 for your place and the guy next door bought the exact unit for HALF the price. you wouldn’t be able to even pretend that: a. the investment will ever make sense, b. that you will ever have any equity, c. that it will ever go up and d. that you should carry this overpriced mortgage and put a significant chunk of your savings and salary into a loser. so…people will start walking away from their mortgages more and more. the best housing coverage is at http://patrick.net/ – he posts the best housing articles. the recent moody’s study published last week says that it will take 5 to 25 years (!!!) for housing to reach the most recent levels. housing is heading down, down, down, down, for many years to come. the obama $8,000 credit and other government interventions to delay foreclosure and get people buying housing are temporary artificial stimulants to the housing market…that are artificially keeping housing prices up right now and making the housing data look way better than it is…we will see this in the next few months and especially by Q1 2010.
if you’re smart and you’re considering buying, you will take advantage of the cheap rentals (rental pricing is dropping too) and wait a few years to buy. Condos will always / only sell for what someone is willing to pay. These auctions only get more data available to determine what market prices are at this time. These auction units are not the best units in the buildings. Most of them are sold or held back. tell us more about inventory being held back? haven’t heard that before. is that true? if so, why? and how many units? and what is their strategy? and how many o fthese units will actually sell? 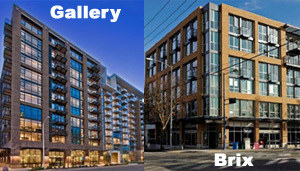 I am an owner of one of the Brix condominiums on Capitol Hill and I think it is important to let people know that while these are definitely very aesthetically pleasing units in an amazing location; the service, support and construction is heavily lacking. It has been an uphill battle with Schnitzer from the beginning. Not only have I had to fight and scream to get them to complete tasks by which they were contractually obligated, the overall “cost cuts” that were implemented in order to complete this building is astonishing. It’s sad that my wife and I have spent so much money, (WELL beyond what anyone at this auction will pay) and our living experience has been so tattered with issues. We are supposed to LOVE this place and now that there is no chance of getting what we’ve paid for it in a resale, we are stuck with a home that isn’t great to live in. In my opinion, Schnitzer does not understand the definition of home? Bill – As mentioned in the post, they’re only auctioning a portion (about 40-50%) of their remaining inventory. Part of the intent is to use the auction results to reset pricing on the remaining inventory, part is financing/lender related. Mark – Sorry to hear about your experience at Brix. Definitely good advice – I did notice some construction related issues while touring the townhome units. For auction buyers, keep in mind, the units are sold “as-is” without warranty, and thus no punch list. Revised: To clarify above, while there’s no warranty to cover punch list items, both Brix and Gallery offer a one-year limited warranty and a four-year building warranty. Curious to understand what service/support/construction issues Mark is alluding to. Given the urgency of the auction, shouldn’t potential bidders be made aware of these issues? The biggest on is sound transfer from units on the vertical plane. In short, it’s terrible. There are many that have the daily pleasure of enjoying the the thunderous footsteps of our neighbors above. I am not new to multi-family buildings and understand that it is only natural for there to be some transfer of sound between units, but what I have been experiencing is well beyond acceptable. I will say that they’ve done a great job of sound isolating on the horizontal plane. We have been through almost a year now of kicking and screaming to get something done about it and we have finally got them to do some additional construction to potentially correct the issue. We have still yet to see any results, but they say they are going to do something about it. There are others in this building that are in the same battle. Another huge one was the installation of our inside balcony railing. The installation of the railing was done EXTREMELY poorly and that fact was agreed upon at signing by both parties. Going through the proper channels, there was an addendum made, by Schnitzer, to the contract, stating that the job would be done within 60 days. On the 60th day, I received a phone call stating that they were going to “get to it when they get to it” (keep in mind that THEY are the ones who wrote in the 60 day deadline). I told them that was unacceptable and I was then made to feel as though I was in the wrong and that I was being unreasonable. After many weeks of fighting and a Better Business Bearue complaint filing, the railing was finally completed. Without going into nit-picking every little detail, you may want to check out the following as you peruse the premises. Do the windows fit in the window frame properly? When you walk out onto the balcony, do the metal planks flap up and down as though they were going to come off? Mine have still not been addressed. The amount of poorly executed patches in the wood beams. Is the elevator working, because there are service people there all the time to fix our 1 year old elevator? Do the appliances actually work? I’ve had mine worked on several time already. Are there strange rolls in the carpet or bumps in the floor that don’t make any sense? Not sure of the details, but I’m pretty sure the bus stop on 10th was not supposed to be there when some the units were purchased. Those people now get to breath exhaust fumes and have their entire unit shake while the bus sits idle in the early morning. Are these auction purchases “AS IS”, because if they are you will get no help from the developer, and if they are not, be prepared to fight for everything. Like I mentioned in my initial post, these units are aesthetically cool and in a prime location. I’m trying to look past these things as this place is my home, but Schnitzer has not been making it easy. Had these issues been addressed in a manor that was based around customer service, perhaps these issues would have been mere inconveniences and I would have gotten over them. Those are my thoughts and opinions, do with them what you will. There is a great research report out yesterday (9/23) by Amherst Securities Group. The title is Housing Overhang/Shadow Inventory = Enormous Problem. 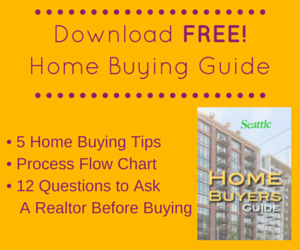 It’s a bit technical, but a MUST read for anyone following the housing/condo market. The article suggests there’s a shadow housing inventory of 7MM units that are either in delinquent status or in foreclosure that are destined to liquidate and have not yet hit the market. This inventory would put additional downward pressure on the already weak housing market. I can’t link the article due to a conflict of interest, but do a Google search on it. It’s out there, but you may have to dig a little to get the full 17 page report. Does anyone know how they might set the auction order? Is there a typical strategy condo auctioneers would use when setting the order? Mark’s noise issue is not good. We live near them and have not had the same experience. We did noise testing with our neighbors below us and we are both very pleased that we can’t hear loud TVs, talking, walking, etc. Our experiences have been very positive with Schnitzer, but we have not had any significant problems and enjoy the Brix.